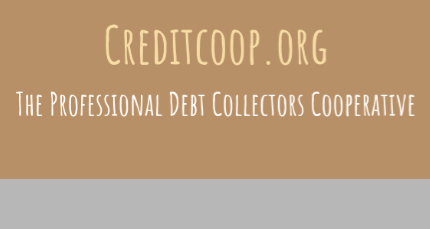 Professional Debt Collectors Cooperative - What is a Cooperative? Cooperatives are a vehicle for people collectively ‘doing it for themselves’ - whether that’s responding to a market opportunity, or meeting an identified need that neither the market nor the public purse provides. They engage people in their own solutions and enable members to share the risks and development costs of the business. They also draw from the knowledge, skills and expertise that diverse members bring. Cooperatives provide their members with mutual support. They link members together so that they can help one another - perhaps by sharing ideas, costs, resources and equipment. In multi-stakeholder co-operatives workers, users and the community can be linked for mutual endeavor. 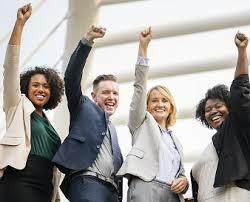 Cooperatives are democratically owned and run, giving members real control over the direction of their enterprise and enabling all stakeholders to contribute to the success of the business. 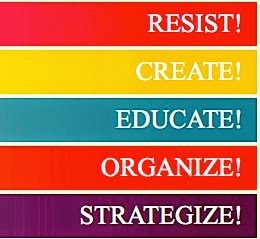 In worker cooperatives this can galvanize the creativity and commitment of the employees in a way many other businesses cannot. The members of consumer or community cooperatives are able to define the business that meets their needs and bring their skills and commitment to its success. Cooperatives are often very attractive to public service workers who want to be liberated to provide a high quality service. 1. Voluntary and open membership. Cooperatives are voluntary organisations, open to all persons able to use their services and willing to accept the responsibilities of membership, without gender, social, racial, political or religious discrimination. 2. Democratic member control. Cooperatives are democratic organisations controlled by their members, who actively participate in setting their policies and making decisions. Men and women serving as elected representatives are accountable to the membership. In primary co-operatives members have equal voting rights (one member, one vote), and co-operatives at other levels are also organised in a democratic manner. 3. Member economic participation. Members contribute equitably to, and democratically control, the capital of their co operative. At least part of that capital is usually the common property of the cooperative. Members usually receive limited compensation, if any, on capital subscribed as a condition of membership. Members allocate surpluses for any of the following purposes: developing their co-operative, possibly by setting up reserves, part of which at least would be indivisible; benefiting members in proportion to their transactions with the cooperative; and supporting other activities approved by the membership. 4. Autonomy and independence. Cooperatives are autonomous, self-help organisations controlled by their members. If they enter into agreements with other organisations, including governments, or raise capital from external sources, they do so on terms that ensure democratic control by their members and maintain their cooperative autonomy. 5. Education, training and information. Cooperatives provide education and training for their members, elected representatives, managers and employees so they can contribute effectively to the development of their cooperatives. They inform the general public - particularly young people and opinion leaders - about the nature and benefits of cooperation. 6. Cooperation among cooperatives. Cooperatives serve their members most effectively and strengthen the cooperative movement by working together through local, national, regional and international structures. 7. Concern for community. Cooperatives work for the sustainable development of their communities through policies approved by their members. A cooperative is a business that is jointly owned and democratically controlled by its members. Cooperatives are trading enterprises, providing goods and services and generating profits, but these profits are not taken by outside shareholders as with many investor owned business - they are under the control of the members, who decide democratically how the profits should be used. Cooperatives use their profits for investing in the business, in social purposes, in the education of members, in the sustainable development of the community or the environment, or for the welfare of the wider community. Cooperatives are based on the values of self-help, self-responsibility, democracy, equality, equity and solidarity. Cooperative members believe in the ethical values of honesty, openness, social responsibility and caring for others. The Cooperative Principles are guidelines by which cooperatives put their values into practice. Cooperation has always existed, but cooperative business became a significant social and economic force in the 19th century, when people engaged in self-help to ensure that their basic needs were met. Today the cooperative movement is a global force and employs approximately 1 billion people across the world. Enterprises that are owned and controlled by people belonging to a particular community. This may be a geographical community or a community of interest. Normally they will carry out activities that are of benefit to the whole community. Cooperatives formed by a number of independent businesses, organisations or individuals, and owned and controlled by them. The members enhance their trade or reduce costs by working together on key activities such as leasing premises, buying equipment or marketing the members’ products and services. Multi-stakeholder cooperatives: Enterprises that are owned and controlled by members drawn from a variety of areas. 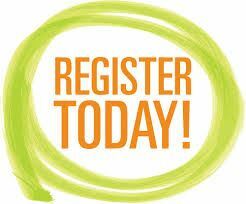 Membership might include employees of the cooperative, users of the cooperative, local residents, partnership organisations or relevant professionals. Enterprises whose members are other cooperatives. “By forming a cooperative with other independent businesses, we can share contact, services, labor and expertise, and we can take on projects that would be too big for one member alone. Cooperatives and social enterprise Social enterprises are businesses with primarily social or environmental objectives. Their surpluses are reinvested in the business or community, rather than being driven by the need to maximize profit for shareholders and owners. 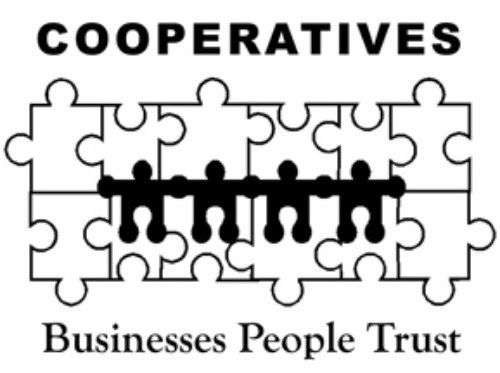 Cooperatives work together on the local, regional, national and global level to promote exchange ideas among cooperatives, foster cooperative development, provide educational services, and provide a forum for examining and acting on common concerns for cooperatives. Numerous cooperative associations throughout the United States provide industry-specific services, educational programs, and financial and other services to their member cooperatives.